MOSCOW, May 23. /TASS/. One in 40 Russians aged 35 to 39 is HIV-infected, while one in 30 men in that age group lives with HIV, Russian Academy of Sciences Member Academician Vadim Pokrovsky, who heads the Federal Research Center for AIDS Prevention and Control, said at a press conference on Wednesday. Every year, the third Sunday of May commemorates those who died from AIDS. In Russia, the first AIDS death was recorded in the city of St. Petersburg in 1987. 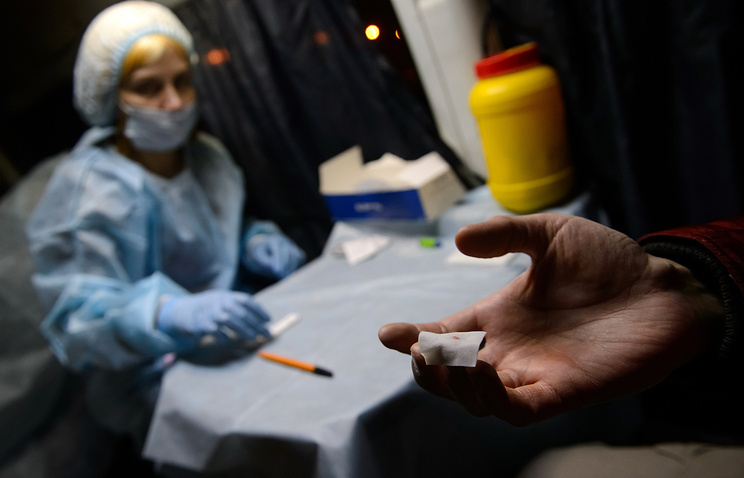 A total of 35 mln people have succumbed to AIDS globally, while in Russia the number of AIDS deaths has reached 287,000, Pokrovsky said, adding that 968,000 Russians currently live with HIV/AIDS. "In the 35-39 age group, 2.5% of the population are already HIV-infected, which means one in 40. If we take men, 3.3% are living with HIV, that is, one in 30," the academician explained. The infection is primarily transmitted sexually, Pokrovsky noted. According to him, endeavors aimed at AIDS detection, treatment and prevention have been steadily rising. At the same time, in the expert’s words, not enough funds are being allocated for preventive measures.